President Trump has appeared on camera several times to support victims of Hurricane Harvey. What has also received air time? 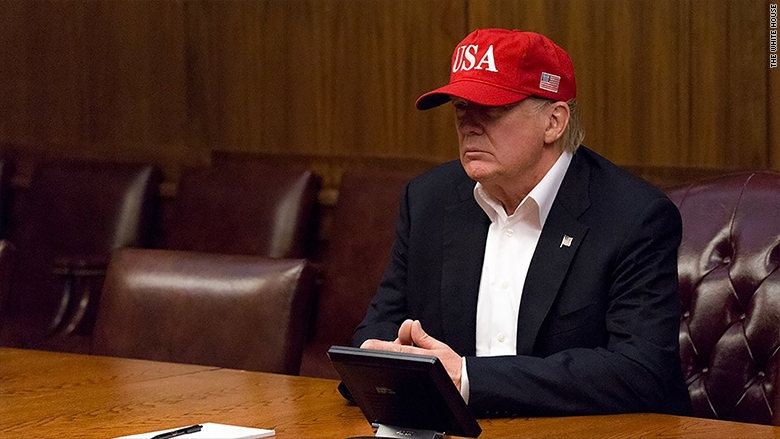 The "Official USA 45th Presidential Hat," for sale by Trump's campaign for $40. "Even removed from the hurricane, it's pretty inappropriate," CREW spokesman Jordan Libowitz said. Libowitz said he does not believe the president is violating any ethics rules by wearing the hat. 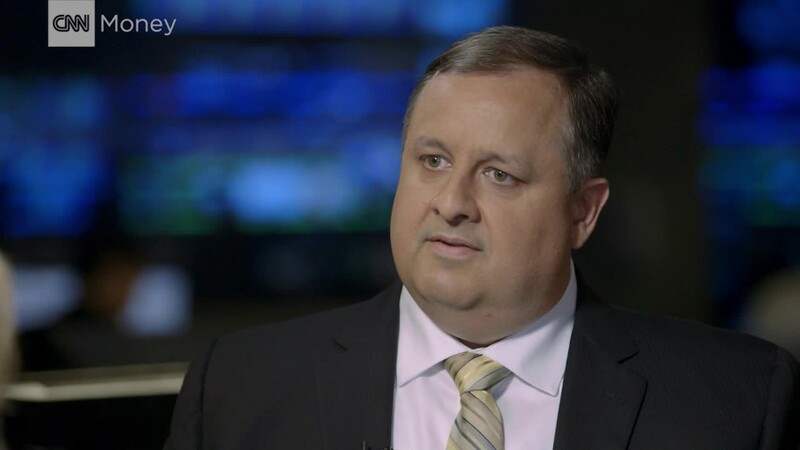 "There is a difference between what is technically legal and what is ethically right," he said. 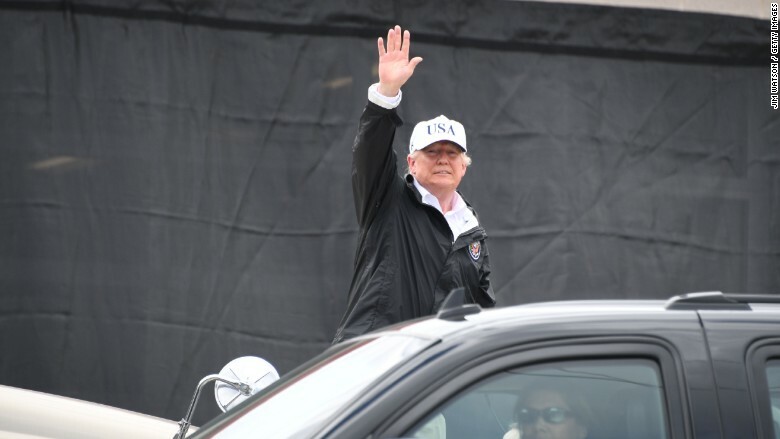 Ethics experts have argued that the president's heavily photographed weekend visits to his golf courses and Mar-a-Lago club amount to gratuitous marketing. Trump refused to sell his business holdings as president. Instead, he transferred them into a trust in his name. Any business profits will ultimately go to him when he leaves office. CREW is suing President Trump over his business interests. It claims he is violating a section of the Constitution that bars officials from accepting anything of value from a foreign government. 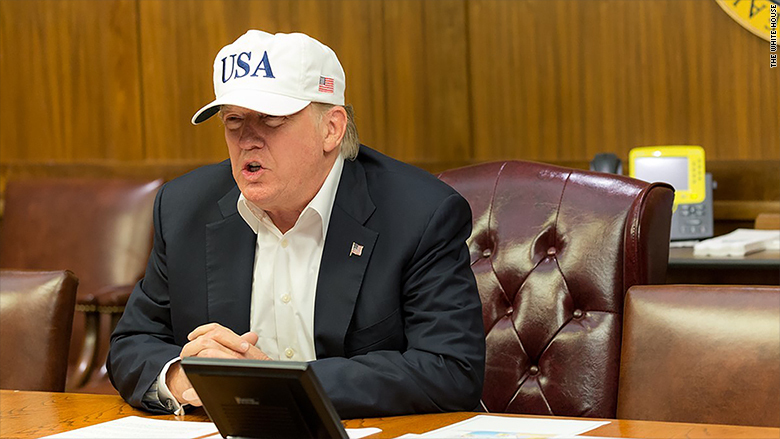 Trump sported the white version of the USA cap in an official photo distributed by the White House on Saturday after his teleconference with cabinet members about Harvey. ... And he kept one on for his trip to Texas, where he surveyed damage from Harvey and met with local leaders.